Everybody makes mistakes, and some of them matter. On the BBC’s News at Ten on the 18th January 2018 there were two of them, and the GWPF complained a few days later. The first error was in describing the global temperature of 2017 as the “hottest year on record,” which it wasn’t. The second mistake was that the BBC’s Environment Analyst Roger Harrabin said that, “2017 had no heating from El Nino,” which was also incorrect. This is straightforward stuff, and one would have thought a swift correction would have settled the matter. But no. The BBC’s reply a few weeks later was a prime example of how making confusing and inaccurate statements are used to justify an inaccurate report. They said in referring to 2017 as the hottest year on record was an “unfortunate and genuine error,” and that, “an error slipped through,” and expressed regret that their usual standards weren’t met on this occasion. They issued a correction on their website. However, they then indicated that they should have said what they said on an earlier TV bulletin which was, “2017 was the hottest year on record without the natural warming effect of El Nino,” the inaccuracy of which was the subject of our complaint! They were even more confused in the response to our complaint about 2017 having no “El Nino heating.” They said that Roger Harrabin’s “no heating effect” referred to a recognised formal El Nino “event” in the year rather than the temporary occurrence of “conditions” which do not result in a recognised event that year. As this was nonsense we complained again on the 19th of February, pointing out that saying there was no formal El Nino event is not the same as saying there was no El Nino heating. We also said it was not a proportionate response for a mistake on the News at Ten to be “corrected” on an obscure website as it still leaves large numbers of News at Ten viewers misled. To say we waited for a reply with rueful anticipation would be an understatement. It came almost a month later. They ducked the issue of correcting a serious error on the News at Ten on the same programme, saying they had taken measures THEY felt were adequate. Once again the explanation is internally inconsistent and does not make sense. The year 2016 was the warmest on record due to the boost in temperature it received from a very strong El Nino. Given that is it all that surprising that the following year should have inherited a lot of this warmth prior to its dissipation! And on that the BBC says it will not continue discussing the matter. As I said, everyone makes mistakes and usually issue corrections. But what the BBC has done in this, and in other complaints, is not to address the problem but try to find a form of words that they think will get the complainant off their back. 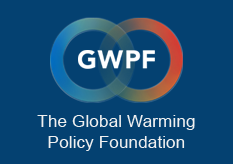 The issues involved in the GWPFs complaint are simple, the replies in attempting to justify a sloppy report are convoluted, inaccurate and misleading.